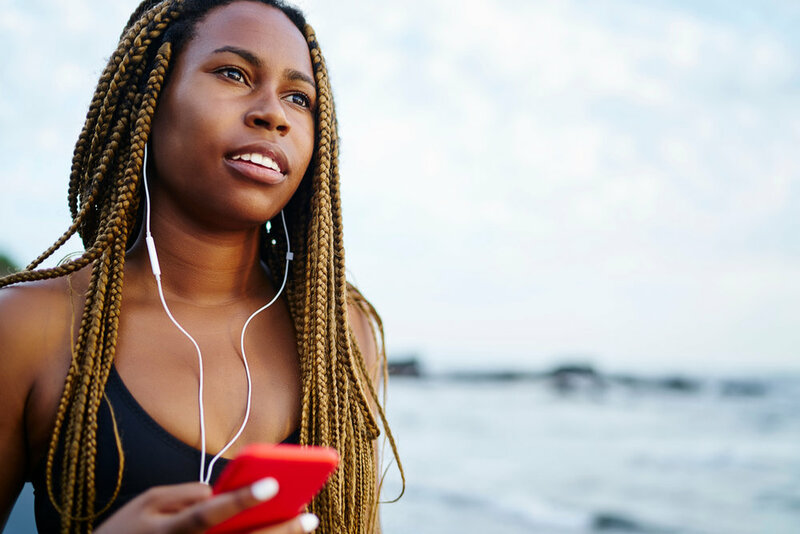 Running to Cope: Mental Health Self-Care for Black Women — RUNGRL Co.
As a Black woman runner, I’m excited when I see other Black women running and focused on their physical health. As a mental health professional, I also understand that running and working out should be about more than being “snatched” and “body goals”. True wellness includes taking care of your mental health as well. 1 in 5 adults in the U.S. experiences mental illness. Mental illness affects EVERYONE no matter race, ethnicity, or gender. Anyone who has lived long enough has encountered some form of stress. As Black women, we often learn to tolerate and power through our stressors because we don’t get to quit. We have to continue to show up and shine in a society that shows us again and again that we are not valued. We are moving and getting things done and often fail to realize how just much we are carrying on our shoulders. Whether experiencing emotional pain and/or physical pain, talking to a professional can be beneficial in both diagnosing and treating these problems. Therapy is something from which so many can benefit. It’s a space and time that you can focus on yourself, unapologetically. The National Alliance on Mental Illness found that from 2008 – 2012, Black women made up roughly 10 percent of people that used mental health services--about half the rate of Caucasian women. However, nearly 19 percent of African Americans live with a mental health condition every day. So why are we as Black women so reluctant to seek the help of these services? My clients often share with me that they suffer through panic attacks, insomnia, isolation and bouts of crying spells before ever reaching the point of seeking therapy. I hear from these clients that therapy feels like a lot to risk (time, money, effort) without the certainty that life will get better as a result. While it’s true that finding the right source of help can feel intimidating, I recommend scheduling a consultation when trying a new therapist. This is an opportunity to see if the therapist is a good fit for you. If you’re finding the search to be a challenge, TherapyforBlackGirls.com has a great post, “Questions to Ask Before Choosing a Therapist.” In it, Dr. Joy Harden Bradford asks guiding questions to help narrow your search, such as, “Are you clear about your therapeutic goals and what you would like to achieve in therapy?”. Once they’ve taken the first step to getting help and have started counseling or therapy, many of my clients then have difficulty focusing on themselves and their feelings. There are not many spaces that we, as Black women, get to focus entirely on ourselves and our place in the world. It’s a departure from what many of us have been taught and a way of thinking that needs to be reversed. Author Traci German, center, enjoys running to cope with daily stressors, to connect with her fellow runners and to spend time with her young son. Photo: SunChase Media for RUNGRL. A huge part of skill-building that I emphasize with my clients is self-care. My definition of self-care is a practice or activity that supports emotional wellbeing. For those physically able, running is a great self-care practice because there is no cost barrier and doesn’t require extensive training to get started. This is especially helpful for those women for whom therapy is cost prohibitive. Also, If you’re really fortunate, you can find a great running community to help you keep accountable for making your wellness a priority. As Mental Health Awareness Month continues, consider investing in yourself with therapy and self-care practices that support your emotional and physical well-being. Follow Traci’s journey on Instagram @abeangrowsindc. Traci German is the director of Student Support Services at Academy of Hope Adult Public School. She is an alumna of both The University of Virginia and The George Washington University where she studied psychology and community counseling, respectively. Catch up with Traci on her blog, A Bean Grows In DC, to read about her journey as a wife, mother and health enthusiast.